Michael Andretti believes that Walkinshaw Andretti United can, in time, match and even beat Triple Eight Race Engineering and DJR Team Penske. The former factory Holden team has improved relative to its 2017 horror show in the team’s first year as a joint venture between Walkinshaw Racing, Andretti Autosport, and United Autosports. Scott Pye achieved his first Virgin Australia Supercars Championship race win at Albert Park in March, the team’s first in nearly a season-and-a-half dating back to the 2016 Sandown 500. Pye is currently ninth on the points table and James Courtney 15th, an improvement relative to final 2017 championship positions of three and six positions respectively. 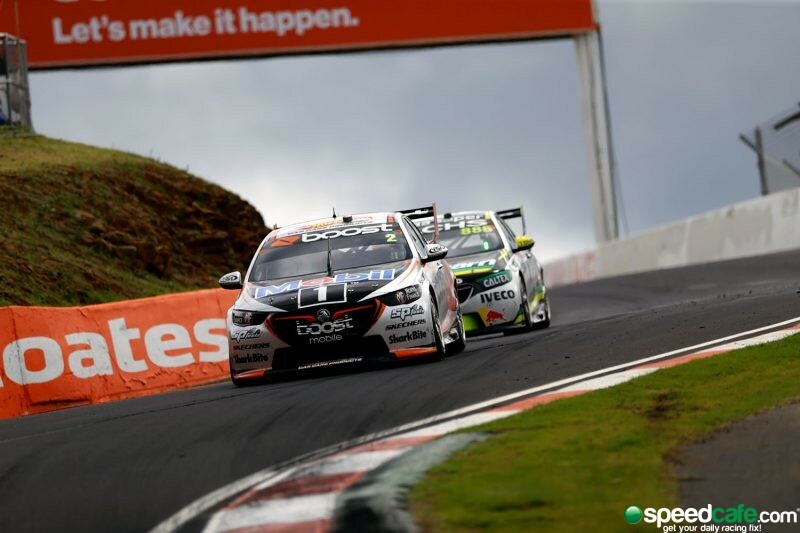 Andretti, who was present at the Supercheap Auto Bathurst 1000 a fortnight ago when Pye and Warren Luff finished second for a second year running, says that the upward trend is reflected in the vibe within the team. The IndyCar team owner was also bullish about the prospects of the team being able to return to its former glories and challenge Supercars’ contemporary powerhouses, Triple Eight/Red Bull HRT and Shell V-Power Racing. “It’s fun to see the progression. I think our team’s getting better and better, and I’m excited about the future,” said Andretti. “I think there’s been some good key personnel changes within (WAU), and I think our relationship together has really helped change the whole feel of it. “I think it’s just an attitude change, it’s a more positive attitude. You come in here and you feel like you’re going to win the race. “That’s a big deal because when you can feel that energy within the team, that’s when things start to really click. I think we’re getting to that stage. “You look at (Triple Eight’s) results and they obviously have a good team. Roger (Penske) has a good team and I think we have a good team. “I don’t think we’re where we want to be, (but) I think there’s a tremendous amount of potential here to get there. I see it there. The Supercars Championship continues with the Vodafone Gold Coast 600, for which practice starts tomorrow at 1040 local time/1140 AEDT.